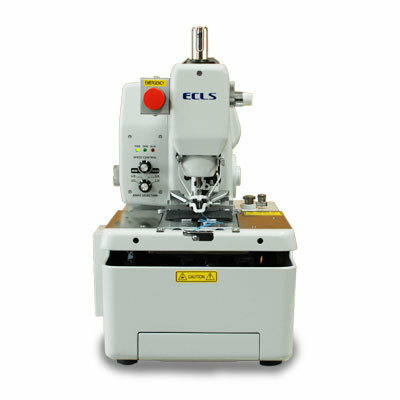 Our technological innovation changes the imagination for the eyelet buttonhole sewing machine. The machine is very unique design, light weight and can be workable with simple operation by SUZUKI system that is electronic controlled. Available with either flat or wedge type cloth clamp. The needle bar, cloth clamp or knife action are very smoothly driven by built-in high quality motors. Our machine is not requested any special technique or compressed air for the operation. Very easy to convert from eyelet to straight buttonhole sewing and it is opposite case including buttonhole length by one-touch lever operation.